Boldrocchi has been engineering and manufacturing gas turbine, turbo machinery and compressor auxiliaries, as well as noise protection, for over 55 years. Our equipment and expertise can be found in thousands of power generation, oil and gas, offshore and gas transmission operations around the globe. We have a considerable track record in greenfield installations and thanks to our long presence in the market, we have significant experience offering you high quality upgrade and retrofit solutions as well. Boldrocchi is a referenced supplier for the largest OEMs in the world including GE, Siemens, Ansaldo Energia, Mitsubishi Hitachi Power Systems (MHPS), Alstom Power, Solar Turbines/ Caterpillar and Rolls Royce. We offer end-users fully turnkey solutions and have highly trained teams able to install and commission our systems, no matter where in the world. 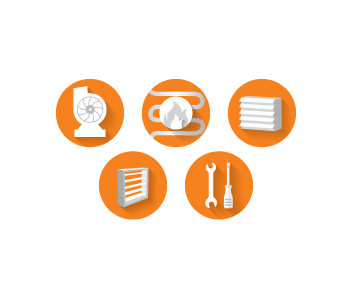 We’ve been engineering and manufacturing centrifugal fans for over 100 years and we’ve grown the product line through acquisition. Our goal? Continue to have more expertise than anyone else in the market. Se omnim accum qui aliquatemqui non eatquam ex et etus, et plaut omnia numquatus, odi occaerum a ipsunt ex et maximaio et veles plam sintiunt est, qui re eum quo eos ut is in pa quia corum volest, ut ommolup taepre aut ullabore, adis doluptas illab in nonsera de.